"No one is calling him a traitor," former DM Ya'alon says. 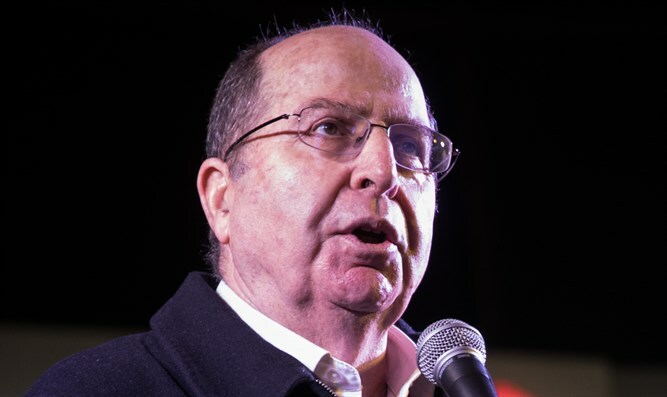 Former Defense Minister Moshe Ya'alon referred to Israeli Prime Minister Binyamin Netanyahu's threat to sue the leaders of the Blue and White party for incitement at the Shabbatarbut (political and cultural forums that take place on the Sabbath) event in Kiryat Bialik on Saturday. "I said that Case 3000 could deteriorate to the point of treason," he said. "I didn't say Netanyahu, I didn't say who and what. What's he getting so excited about? No one is calling him a traitor," Ya'alon concluded. "The story of Gantz's phone was aired during a difficult week for Netanyahu," he said. Yesh Atid Chairman MK Yair Lapid, who places second on the Blue and White list, stated that he was ready to lift his immunity and allow Netanyahu to file a libel suit against him. "I hereby inform you that I am lifting my immunity," he said in a video he published on Saturday. "We both know that the video you posted this evening is full of lies. You know very well that we didn't call you a traitor in the submarines affair. It's interesting that this is the first word that jumped into your head," Lapid concluded.